This is a plain ol' microfiber cap that's great for running. 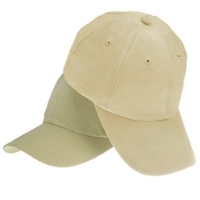 It is an unconstructed cap with a low crown and a pre-curved visor. It also has an adjustable velcro closure.